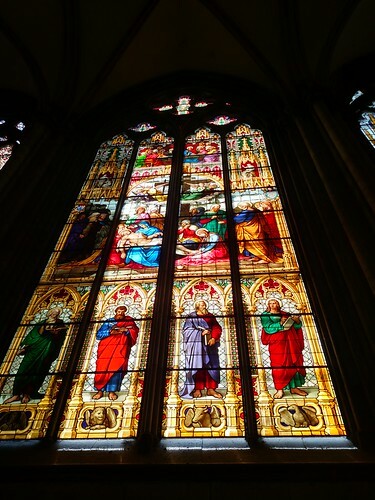 Thank you, Charlotte, for reminding me that three years ago today I fell in love with Cologne. Tourists, of course. 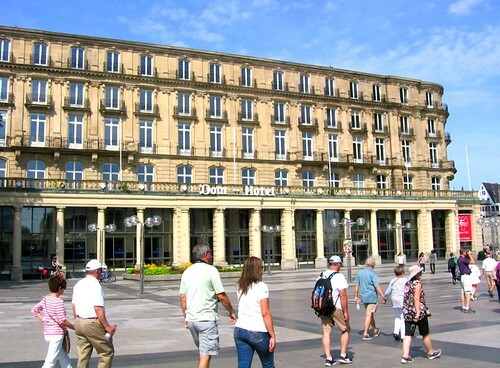 Adolf Hitler presented one of his speeches from the balcony of this hotel. No one seems to take notice. Seemed eerie to me. The city was quaint, huge, filled with history, and overall very friendly. The countries and cities as a whole during our Rhine River adventure were so very much different from my experiences in the United States. 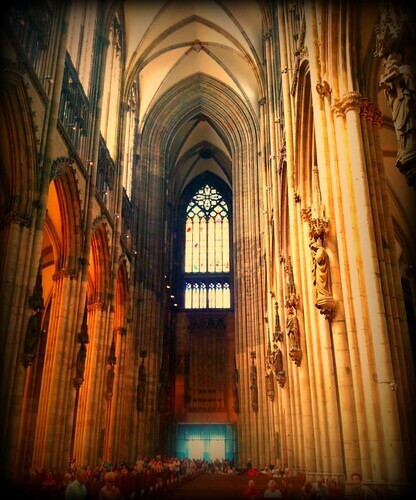 Cologne, however, made a very big impression on me. The Compatible. 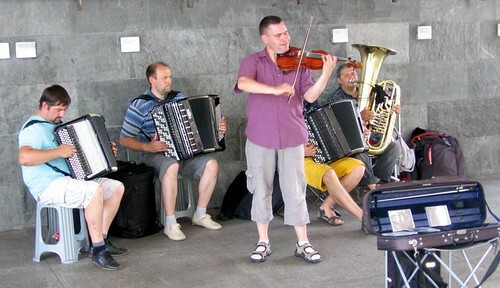 A Russian ensemble made up of accordions, a tuba and a violin. Ah, the sounds heard across the square! Charlotte and I stood in awe, even brought to tears for the glory of it. I bought the CD they were offering. Who could resist? Cologne? Does that word ring a bell to those enamored by fragrances? Of course we visited the shop that sells the original Eau de Cologne, a fragrance originally mixed in Cologne, Germany in 1709. 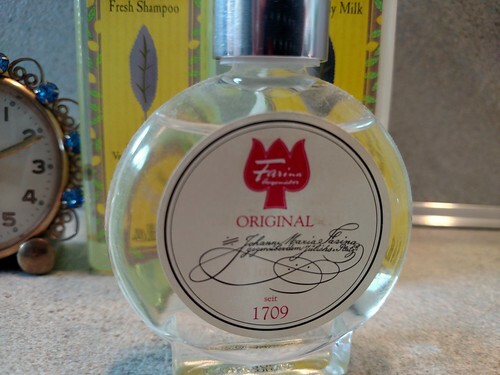 Of course I had to buy some, and when the bottle is used up I’ll return to Cologne, Germany to get some more. BTW, it’s a glorious scent. I ration it, although I know I shouldn’t. Who wouldn’t like smelling like this every day of their lives?! Of course, who could ignore the Cologne Cathedral? Imagination doesn’t even begin to tell the story of this magnificent structure and the things contained within it. So, it’s ancient, and filled with treasures and the remains of important people acting in the Roman Catholic faith. Tombs and jewels and relics ~ oh my! It was so utterly awesome, like take-your-breath-away awesome, and I’ll never forget it. 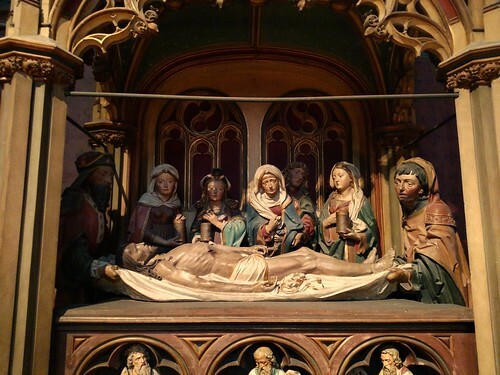 The art within the cathedral’s walls was stunning. 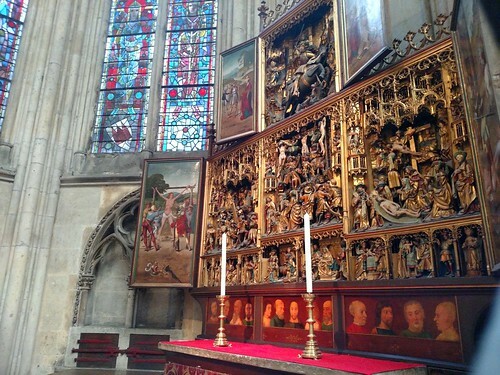 Of course, Cologne, Germany is not only about perfume and music and architecture. 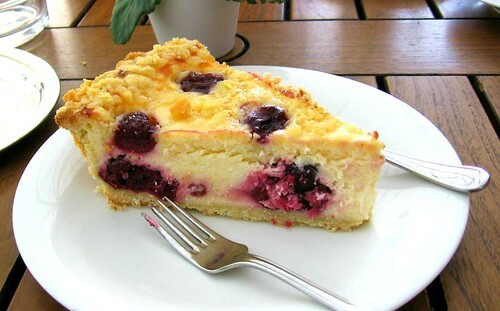 OK, so it mostly is, but I will never forget partaking in the best cherry cheesecake I’ve ever had. Charlotte and I sat at a café/bakery on the square and savored that cheesecake more than any cheesecake we’d had before. We hadn’t had any like it, and we never will, unless we return to Cologne. 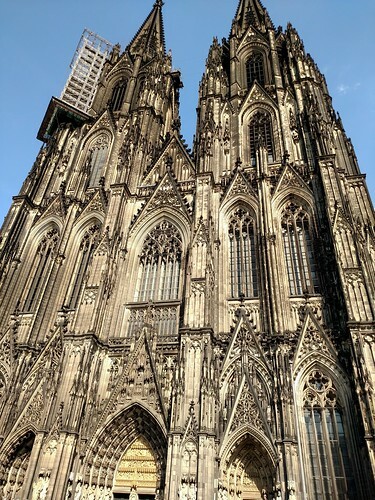 If you’re ever in the neighborhood of Germany, be sure to stop at Cologne. There are so many memories (and photos) I have but couldn’t contain them all in one blog post. So much history, food, music, architecture, and really nice people. The “Old Country” made so many new experiences for me, and I treasure them so. Wow what an interesting blog post!